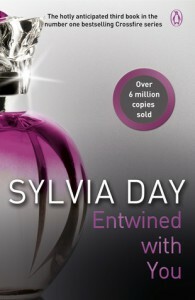 This third book starts right after the end of the second, when Eva finds what Gideon did for her. They will have a lot of things to overcome: deal with their traumas, with Gideon’s ex-girlfriends, Eva’s ex-boyfriend, the police, the press and everything more you can think of. Considering what Gideon did before, it doesn’t aloud them yet to be together as they used to so they are trying to be in a secret relationship in a world were everyone wants something from them. They know they love each other beyond limits but when the fight for their happiness becomes harder every day, trust in the other is the only thing they can rely on, and in a world that seems to plot against them, they have to think if they’re going in the right way or if sometimes it’s better to take a step back. Okay, this book for me was just… meh. And that’s a shame considering how long we've had to wait for it. This was supposed to be a trilogy. And it should have been the last one. I don’t know how the author will drag the story for more two books and I hate when series turn out to be excessively long. If this book had had WAY less drama from the secondary characters, if it had less unnecessary scenes, if it had focused more on the real important things (aka Gideon and Eva and how to solve their f****ed up problems) it probably would have been a really good book and a great ending. But those are a lot of ifs and as they say: If my grandmother was a man, she would be my grandfather. Don't get me wrong, the book wasn't that bad. Had a lot of cute romance and a lot of good steam. But it was just “okay” and that’s a shame. I would give it 2 stars (especially because I really didn’t love Eva in this one) but I have to give an extra star for Gideon (obviously! ), at least he’s always great! I just think it’s sad a book that had so much potential of being an epic ending to a great story, became just some mediocre middle book in a series that turned out to be too long. I still don’t know if I want to read the next ones. Well, probably yes if I find myself with lack of reading ideas, but only because of Gideon!